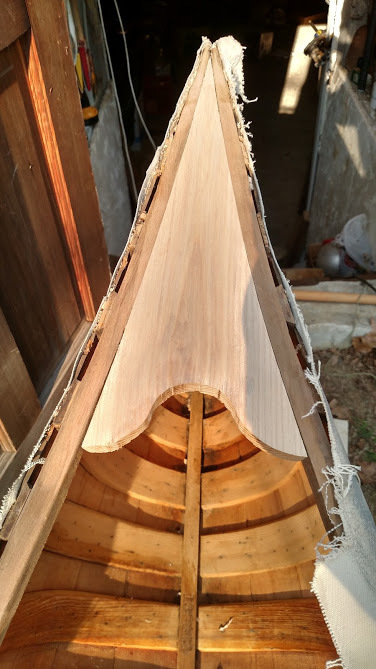 The restoration of a vintage canoe is surely a labor of love. 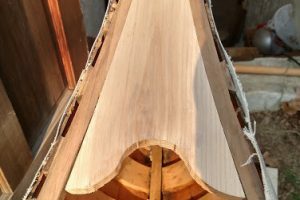 The iconic Old Town Canoe Company, located in Old Town, Maine was started in 1898 and to this day will make you a wood and canvas canoe for about $9,000. Today’s canoes from modern fiberglass, plastic and aluminum out sell the wood because of their durability and reduced price. But, canoeing enthusiasts that know the sport well respect the handling quality of a wooden and canvas canoe. 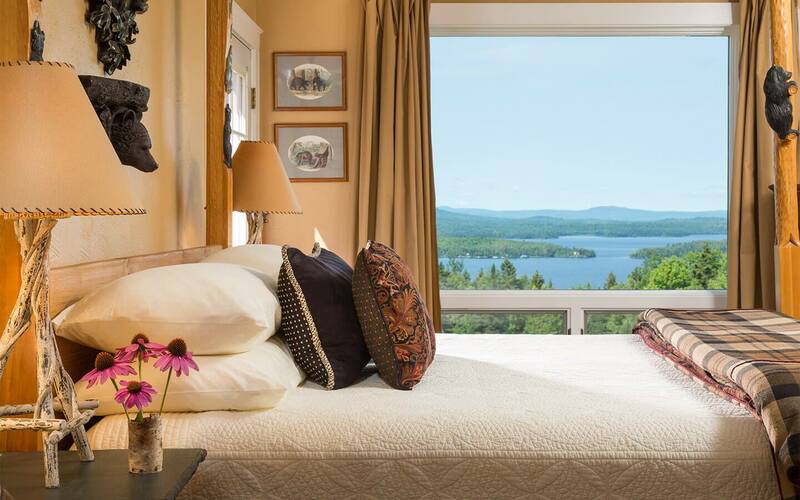 You will experience first-hand the beauty and grace of a vintage Maine canoe when you reserve the “Moonlight Canoe Ride” at our luxury Maine lodge. David Giampetruzzi, a Lodge Registered Maine Guide, has personally restored several canoes. He beams with pride from hundreds of pain staking hours to preserve a true piece of history in heirloom quality for your enjoyment. 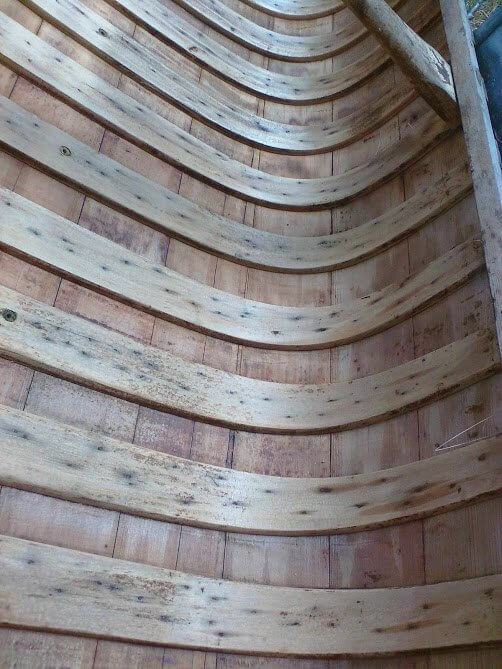 Most recently completed was a “war canoe”, first constructed during World War II. 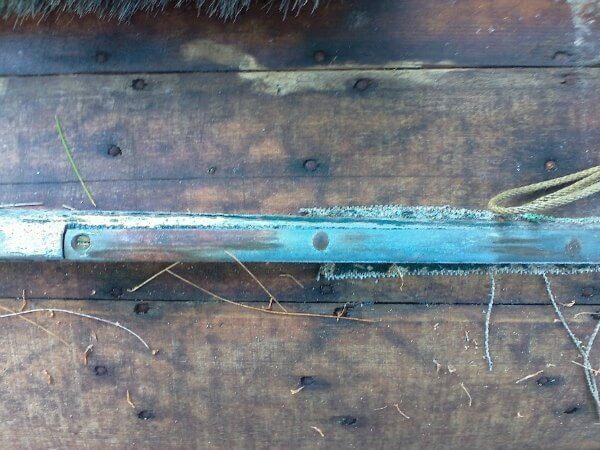 Because of the war effort and scarcity of brass, the tacks and hardware on the canoe are steel. In the restoration process, David chose to revert to brass tacks. 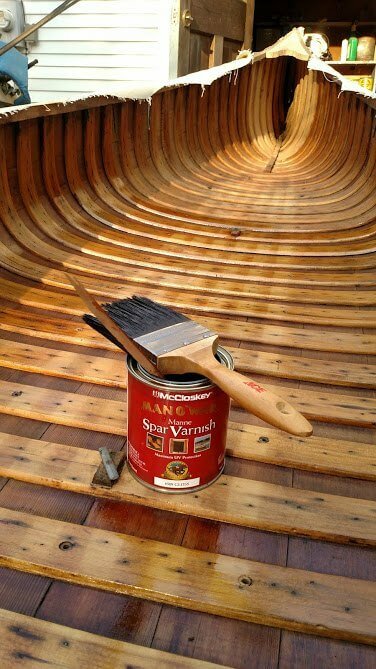 This canoe is 75 years old, hand crafted of wood – cedar ribs and planking, then covered with canvas and painted. There is not a hint of modern material although this construction method replaced the use of birch bark or animal skins previously used for centuries. It was considered a revolutionary transition and improvement more than a century ago. The wood and canvas canoe is the work horse for the legendary Maine Guide. It was used in remote ponds, beaver flows and rivers extensively during its heydays of 1900-1940s. Even today, these canoes are highly sought for restoration and enjoyment on the water. 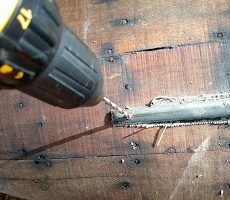 Strip the old varnish from the interior – tedious work and can be out sourced to an experienced stripper. 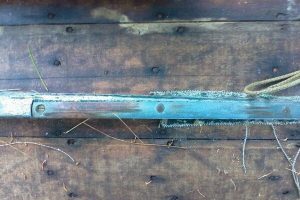 Repair or replace broken gunwales, ribs and planking as needed. This is involved since you have to bend the wood through a process of steaming and setting in a mold for a week or more to shape. 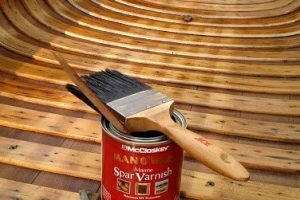 Apply a coat of boiled linseed oil to exterior plannking – quick and easy. 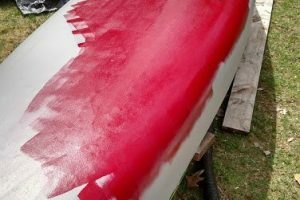 Varnish the interior of the canoe – straight forward but requires attention to detail, good preparation and a controlled environment. 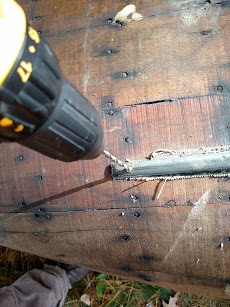 Prep and re-canvass the exterior hull which includes stretching the canvas, tacking the canvas to the edges and stem; then remove excess material. Apply filler to the new canvas, which requires three weeks to cure. Apply primer and the three finish coats of paint. Now is time to be excited since the end of months of work is near. Re-install gunwales, stem bands, keel, if desired, and trim. It’s ready for the water. 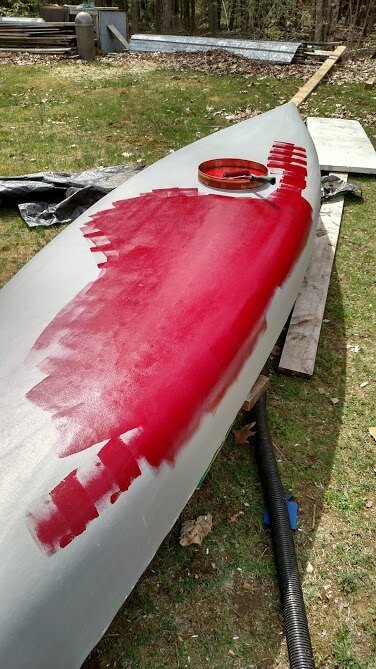 Detailing a vintage canoe is required and desired. This is a working canoe so not to showboat standards but still “fine”. 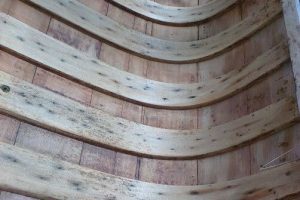 Look for a vintage canoe that may be on display in summer months at the Lodge at Moosehead Lake.